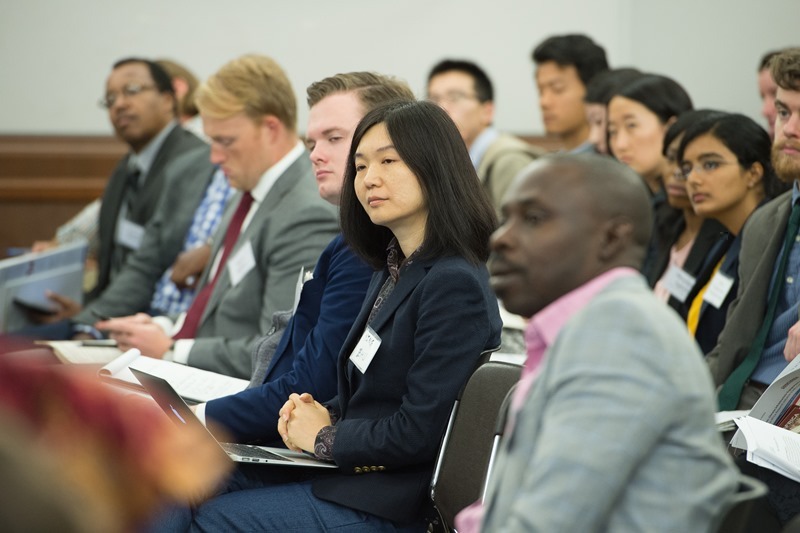 THE 4TH ANNUAL CHINA-AFRICA RESEARCH INITIATIVE (CARI) CONFERENCE, WAS HELD ON APRIL 19 & 20, 2018 AT THE JOHNS HOPKINS UNIVERSITY SCHOOL OF ADVANCED INTERNATIONAL STUDIES (SAIS) IN WASHINGTON DC. Please join us for a panel discussion on CARI's research. Over the past few years, hundreds of Chinese firms have invested in manufacturing in Africa. Our researchers explored the realities of this investment on the ground: what sectors are Chinese firms investing in? Is technology being transferred? Are Africans gaining manufacturing skills? Please register at https://sais-cari-chinese-investment-african-manufacturing.eventbrite.com to attend. Wolf Warrior 2 (战狼2) is a 2017 Chinese action film directed by Wu Jing, who also stars in the lead role. The film tells a story of a loose cannon Chinese soldier named Leng Feng who takes on special missions around the world. In this sequel, he finds himself in an African country protecting medical aid workers from local rebels and vicious arms dealers. Wolf Warrior 2 was a massive commercial success both in China and abroad and has become the highest-grossing Chinese film ever released, as well as the sixth highest-grossing film of 2017. After the screening, we will hold a discussion co-moderated by Prof. Deborah Bräutigam, Director of the China-Africa Research Initiative, and Prof. David Lampton, Director of SAIS-China and China Studies. Popcorn will be provided. Please register at https://sais-cari-wolf-warrior-ii.eventbrite.com to attend - seating is limited. This event is co-sponsored by the China Africa Research Initiative, SAIS China Studies, SAIS African Studies and SAIS Strategic Studies. Disclaimer: The showing of Wolf Warrior 2 at SAIS does not imply endorsement or support of any of the views or opinions expressed in the film. At the start of Barack Obama’s presidency in 2009, China surpassed the United States as Africa’s top trade partner. As Chinese engagement in Africa continued to diversify, President Obama ushered in an Africa foreign policy that included high-profile diplomatic events such as the U.S.-Africa Leaders’ Summit as well as new economic commitments under Power Africa and Trade Africa. Now, early signs in Donald Trump’s presidency indicate the United States will likely retreat from Africa under an “America First” foreign policy. How will the respective roles of the United States and China in Africa change under these circumstances? Will existing opportunities for constructive trilateral collaboration remain, or will they need to be modified? How will African countries respond to these shifts? This roundtable will draw on the public and private sectors to explore the future of U.S.-China-Africa relations in an evolving geopolitical landscape. A light lunch will be served from 11:00 am to 12:00 pm. The roundtable discussion will take place from 12:00 pm to 2:00 pm. An live overview of the event can be found here. Dr. Mima Nedelcovych is the President and CEO of the Initiative for Global Development (IGD), a nonprofit organization that engages corporate leaders to reduce poverty through business growth and investment in Africa. Prior to joining IGD, Dr. Nedelcovych was the Chairman of Schaffer International, the successor company to the Schaffer Global Group. Dr. Nedelcovych has provided consulting services to USAID, Carana Corporation, and Abt Associates to identify and advise investment opportunities in Africa, as well as with corporate clients such as International Green Structures, Illovo Sugar and JML Investments, and more to develop specific investments in emerging markets. Dr. Nedelcovych served in the Administration of President George Bush from 1989 to 1993 as the U.S. Executive Director to the African Development Bank (AfDB) in Abidjan, Cote d'Ivoire. Prior to being named Executive Director to the AfDB, Dr. Nedelcovych held the position of Principal at Arthur Young's International Consulting Group, specializing in privatizations and private investments in Africa. At the beginning of his career he served as Peace Corps Country Director in Gabon, as Special Assistant to the Assistant Administrator for Africa at USAID, and as Special Projects Officer at the US Trade and Development Agency. He received a BA in Political Science from Yale University, an MA in International Relations from George Washington University, and a PhD in Comparative Political and Economic Development from Florida State University. Dr. John Goodman is associate director for Africa in the Conflict Resolution Program, with responsibility for the design, implementation, and evaluation of the program's mission and strategy in East Africa. Dr. Goodman comes to The Carter Center from the International Committee of the Red Cross (ICRC), where, since 2010, he served as delegate and head of sub-delegation (ad interim) in the Democratic Republic of Congo (DRC) and South Sudan. Mr. Goodman's responsibilities included representing the ICRC with government officials, armed actors, international agencies, and civil society; managing relief operations; visiting prisoners of war; and promoting international humanitarian law. In particular, in the DRC, Mr. Goodman directed the ICRC's programs in eight prisons and multiple transitory places of detention. In South Sudan, his portfolio included ICRC programs in health, civilian protection, and relief along the border with Sudan. Prior to joining the ICRC, Dr. Goodman was an attorney in private practice in the United States, primarily in civil litigation on behalf of the immigrant community. He holds a bachelor's degree from Centre College, a master's and juris doctorate from the University of Kentucky, and a doctorate from the Graduate Institute, University of Geneva (Switzerland). Bobby J. Pittman is the Managing Partner at Kupanda Capital, an investment platform established to create, capitalize and scale pan-African companies. He has helped found numerous companies, including fraym.io, where he currently serves as Chairman. Prior to Kupanda Capital, Bobby was Vice President of Infrastructure, Private Sector and Regional Integration at the African Development Bank (AfDB). There he managed one of the largest portfolios in Africa, including more than $25 billion in active projects across 52 African countries. Pittman previously held senior positions at several U.S. government agencies, including the Central Intelligence Agency, National Security Council, Treasury Department, State Department and White House. From 2006 to 2009, he served as the Special Assistant to the President and Senior Director for African Affairs in the White House. He was the President's lead advisor on Africa issues as well as the President’s Africa Personal Representative (APR) to the G8. Africa Fund Manager magazine named Bobby to its inaugural 'Power 50' list of industry leaders who are shaping investment trends in Africa. He also serves on the boards of Africare and the Center for Global Development. Bobby studied economics at Florida State University and the University of Chicago. Prof. Leocadia I. Zak is currently an Adjunct Professor at Georgetown University Law Center teaching “International Project Finance.” Until January 20, 2017, Ms. Zak served as Director of the U.S. Trade and Development Agency, an independent federal agency that advances economic development interests in developing and middle-income countries while creating jobs in the United States. She was appointed to the position by President Obama and confirmed by the U.S. Senate in March 2010. During her tenure at USTDA, the agency also developed several innovative programs and partnerships including Making Global Local and the Global Procurement Initiative, a partnership with George Washington University Law School. Prior to serving as Director, Prof. Zak served in several Senior Executive Service positions at USTDA, including Deputy Director and General Counsel. Prior to joining USTDA, Prof. Zak was a partner in the Washington and Boston offices of Mintz Levin, practicing in the areas of corporate, municipal and international finance. Prof. Zak was also an Adjunct Professor of Law at Boston University School of Law, Moring Center for Banking and Financial Law Studies. Prof. Zak received her B.A. from Mt. Holyoke College and in 2013 was named by MHC as a “Woman of Influence.” She received her J.D. from Northeastern University School of Law. The SAIS China-Africa Research Initiative will host a special preview screening of the soon-to-be-released film, GUANGZHOU DREAM FACTORY. Doors open at 5:30 pm. Please arrive promptly. People on the waitlist will be seated, if possible, at 5:50pm. Screening at 6:00 pm. Film screens at 6:00 pm. Immigration, globalization, Chinese factories and African dreams…GUANGZHOU DREAM FACTORY weaves stories of Africans chasing alluring, yet elusive, 'Made in China' dreams into a compelling critique of our 21st century global economy. Following a filmmaker’s journey from Ghana to China and back to Africa, GUANGZHOU DREAM FACTORY provides a rare glimpse of African aspirations in an age of endless outsourcing. While the news is full of stories of boatloads of African migrants desperate to cross into Europe, Guangzhou Dream Factory gives us the stories of Africans who believe China is “the new land of opportunity.” Visually rich, sympathetically told, this compelling film sensitively captures the hopes, disappointments, and creativity of Africans whose dreams are unfolding, for better or worse, in the Middle Kingdom. Guangzhou Dream Factory offers an accessible, yet nuanced and complex, view into the dynamic lives of entrepreneurial Africans living in China. The insightful narrative and the great selection of subjects make this film a uniquely engaging portrayal of ongoing global transformations. A must-see documentary dispelling outdated stereotypes of hopeless and helpless Africans. The National Endowment for the Humanities and The National Endowment for the Arts. THE 3RD ANNUAL CHINA-AFRICA RESEARCH INITIATIVE (CARI) CONFERENCE, WAS HELD ON OCTOBER 13 & 14, 2016 AT THE JOHNS HOPKINS UNIVERSITY SCHOOL OF ADVANCED INTERNATIONAL STUDIES (SAIS) IN WASHINGTON DC. This year’s theme was “Orient Express: Chinese Infrastructure Engagement in Africa,” and we were pleased to have Dr. Jamie Monson, Professor of History and Director of African Studies at Michigan State University, as our keynote speaker. Abstracts and participant bios can be found here. Panelist PowerPoint presentations can be found, when available, when clicking on their presentations below. China’s infrastructure engagement in Africa is one of the most important aspects of China-Africa relations, but there are still considerable questions about the size, effectiveness, financing, and impact of such projects. 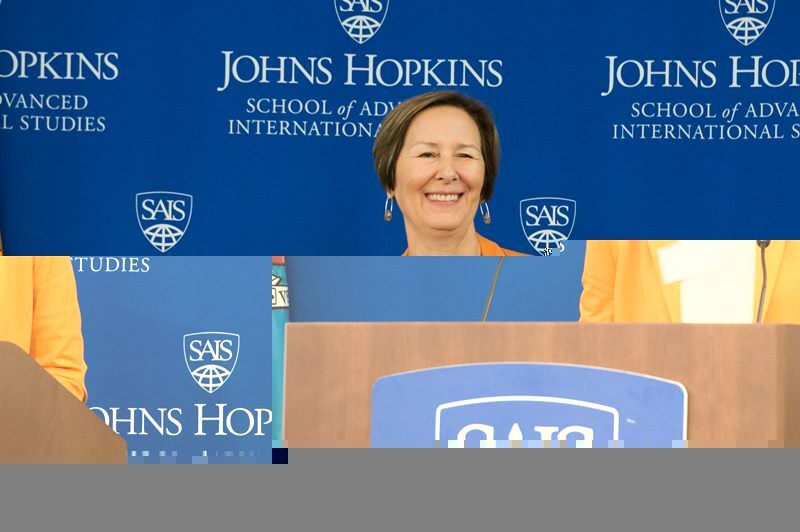 SAIS-CARI held its third public conference on April 13-14, 2016 in Washington, D.C. at Johns Hopkins University’s School of Advanced International Studies (SAIS) in Kenney Auditorium (1740 Massachusetts Ave.). The theme of the conference was Orient Express: Chinese Infrastructure Engagement in Africa. The goal was to achieve a better understanding of both the multiple sectors of Chinese infrastructure projects in Africa and their corresponding impacts on host African states. Papers examined the motives and modalities, trends, sectors, and impacts using a variety of methods from quantitative analysis to case studies. Vali Nasr, SAIS Dean, and Deborah Brautigam, SAIS-CARI Director, provided introductory remarks and Jamie Monson, Professor of History and Director of African Studies at Michigan State University delivered the keynote. The first panel, Roads, Railroads, and Ports I, was chaired by chaired by Jamie Monson, Professor of History and Director of African Studies, Michigan State University. Jamie Farrell, of Johns Hopkins SAIS, compares how do Chinese contractors perform in Africa using evidence from World Bank projects. Based on the data analyzed, there is no statistically significant difference between the quality of work of Chinese firms and OECD country firms on World Bank contracts in the African transportation sector, won from 2000-2007 and completed by 2013. Josh Maiyo, of Webster University Leiden, used the Standard Gauge railway project in Kenya as a case study to track local narratives of Chinese infrastructure engagement. Finally, Ignace Pollet, of University of Leuven, Belgium, compared Chinese infrastructure with that of traditional donors in the Democratic Republic of Congo. The second panel, Roads, Railroads, and Ports II, was chaired by David Kiwuwa, of The University of Nottingham Ningbo, China. Prof. Nuno Gil, from the University of Manchester's Alliance Manchester Business School, examined infrastructure projects in developing economies, comparing and contrasting China's approach with the World Bank in projects in Uganda and Nigeria. Wang Lin, of the China Business Network Research Institute, explored Chinese ports in Africa from Gwadar to Kribi. Finally, the Chinese Academy of Social Sciences's Keren Zhu used the Kribi deep sea port in Cameroon to asses skills transfer. The second panel was followed by the keynote speech, in which Ambassador Shu Zhan, Research Fellow at the The Institute of African Studies at Zhejiang Normal University, introduced Jamie Monson, Professor of History and Director of African Studies, Michigan State University. Prof. Monson discussed the history of Chinese infrastructure engagement in Africa, from TAZARA onwards. Panel 3 looked at Power, and was chaired by the International Energy Agency's David Benazeraf. Yanning Chen, Johns Hopkins SAIS, compared the Chinese Adama wind farm with the French Ashegoda wind farm in Ethiopia. Yunnan Chen and David Landry, two students from Johns Hopkins' SAIS, presented a study of Chinese and World Bank-financed hydropower projects in Cameroon. Jyhjong Hwang, Senior Research Assistant at SAIS-CARI, looked at Chinese engagement in African hydropower projects broadly. The last presentation had Prof. Isaac Odoom from the University of Alberta examined the labor politics and activism of Ghanaian workers at the Bui Dam in Ghana, specifically looking for African agency in China-Africa affairs. The concluding panel for day one, covering Financing, was chaired by David Ehrhardt, Castalia Strategic Advisors. Wendy Leutert, a PhD candidate at Cornell University, presented on the shift for Chinese Companies and Public-Private Partnerships in Overseas Infrastructure Development, moving from contractors to stakeholders. Shakira Mustapha, of the Overseas Development Institute, analyzed the role of choice in the infrastructure projects for Kenya and Ethiopia. Ye Yuan of Sciences Po, analyzed decision mechanisms and the structure behind Chinese concessional loans to infrastructure in Africa. Youyi Zhang, a PhD student at Cornell University, closed the panel by looking at financing of Chinese Infrastructure in Africa: Concessional Loans, Public-Private Partnerships, and International Donors. Day two's first panel explored Environment and Corporate Social Responsibility and was chaired by Prof. Jian Ni of The Johns Hopkins Carey Business School. Gbemiga Adeyemi, of the Federal University Oye-Ekiti, presented on occupational safety and hidden health costs among construction workers for Chinese construction companies in Lagos State. Lila Buckley, from the International Institute for Environment and Development, explored how Chinese businesses in African infrastructure make decisions on social and environmental compliance. Zhengli Huang, from the Chinese University of Hong Kong, uses a case study in Mathare Valley Nairobi to understand Chinese contractors and their social responsibilities. Finally, Dr. Bradley Parks, Executive Director at AidData and Research Faculty at the College of William and Mary, An Evaluation of the Impacts of Chinese Development Projects in Ecologically Sensitive Areas. The last conference panel looked at Labor and Skills Transfer and was chaired by Diane McMahon, Vice President of International Government Affairs at Bechtel Corporation. Motolani Agbebi, from the University of Tampere, looked at Huawei's skills and technology transfer in Nigeria based on field research from the spring of 2016. Hezron Makundi, from the University of Leuven, presented on cooperation between China and Tanzania in ICT. Prof. Lisa Qixun Siebers of Nottingham Trent University, used Kenya, Zambia, and South Africa as case studies on infrastructure. Finally Irene Sun, from McKinsey & Company and Lin Qi, a former AVIC Project Manager, shared their findings on a case study of AVIC International's skills transfer programs in Kenya, bringing the conference to a close. From Contractors to Stakeholders? Chinese Companies and Public-Private Partnerships in Overseas Infrastructure Development. This event was part of China-Africa Week at SAIS. The China Africa Research Initiative at Johns Hopkins SAIS, Cowries and Rice, and Washington DC’s China-Africa enthusiasts convened for an evening of good drinks and conversation. Complimentary hors d'oeuvres were served. In addition, we gave away a signed copy of Will Africa Feed China? by Deborah Brautigam. 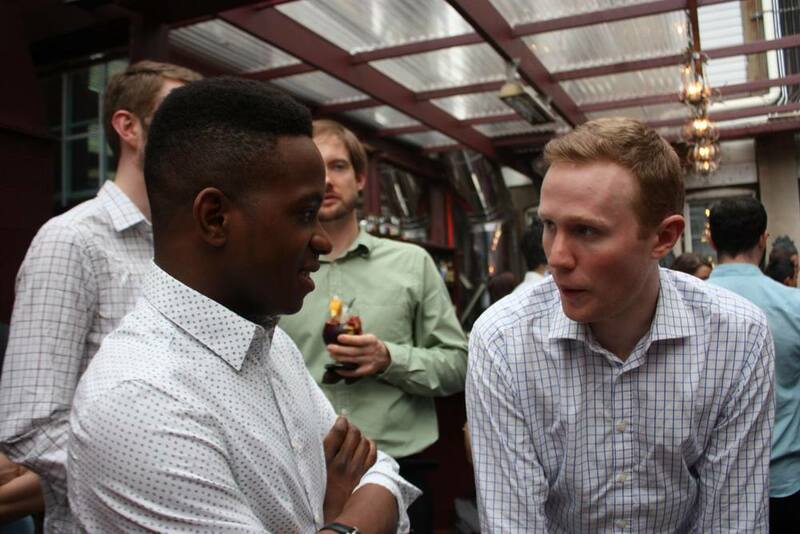 This event was co-hosted with Cowries and Rice, a DC-based China-Africa consultancy. 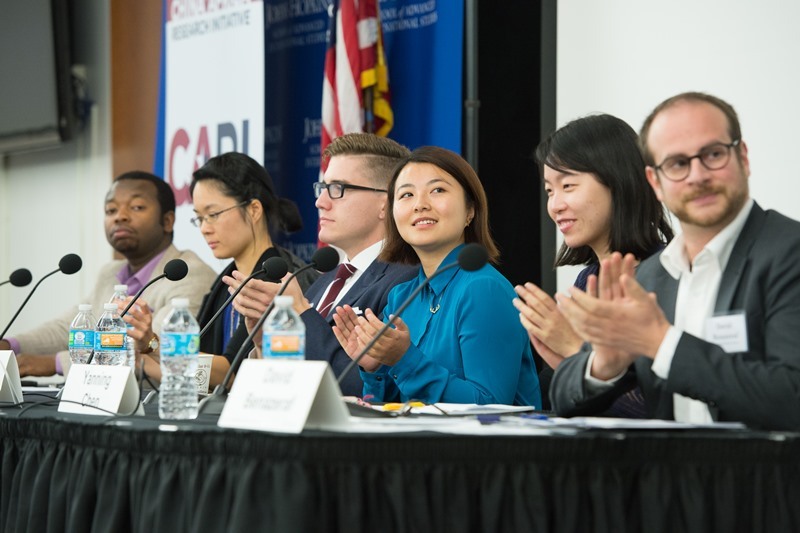 China – Africa Week at SAIS culminated in the launch of CARI’s database on Chinese loans in Africa, followed by a policy roundtable that discussed the wider implication of Chinese development finance in Africa. The panel consisted of Deborah Brautigam, Director of CARI, and Professor and Director of the International Development Program at Johns Hopkins SAIS; Oral Williams, Deputy Division Chief of the Africa Department at the International Monetary Fund; Scott Morris, Senior Fellow of Director of Rethinking US Development Policy at the Center for Global Development; Daniel Runde, Director of the Project on Prosperity and Development at the Center for Strategic and International Studies, and Jyhjong Hwang, Senior Research Assistant at Johns Hopkins SAIS China-Africa Research Institute. The panel was moderated by David Dollar, Senior Fellow at the Brookings Institution. The roundtable was followed by Q&A with the audience. The panel began with a keynote presentation by Deborah Brautigam on CARI's database on Chinese loans in Africa in the past 15 years. The database presentation covered aggregate statistics, sector and country specific ranking and breakdowns, as well as different types of loan suppliers and instruments. David Dollar then opened the discussion with questions on the prevailing negative reaction from the West on Chinese involvement in Africa, possible U.S.-China soft power competition, differences between Chinese and Western financier's engagement practices in Africa, the impact of Chinese economic slowdown on Africa, the problem of African debt sustainability, as well as how CARI's database differentiates between Chinese loans and investments in Africa. The panel then opened for questions and discussion with the audience. Many of these questions involve Chinese financiers’ practices in Africa: What are the terms for Chinese preferential loans? How has Chinese assistance met African governments' stated needs? Have the Chinese been investing in the long term in Africa? How have the Chinese contributed in terms of technical assistance and knowledge transfer in Africa? Have environmental and social regulations been observed? Why do we seem to read so much about anti-Chinese sentiment in Africa when public opinion surveys find that opinions are generally positive? Other questions focused on the Chinese financiers: Why haven’t Chinese government agencies been forthcoming with publicizing their data? There were also questions on CARI database' practices, such as future plans of publicizing the database and what African sources were used in the research. A representative from the Chinese Ministry of Commerce was present in the audience and responded to some relevant queries. David Dollar, Senior Fellow, John L. Thornton China Center at the Brookings Institution. 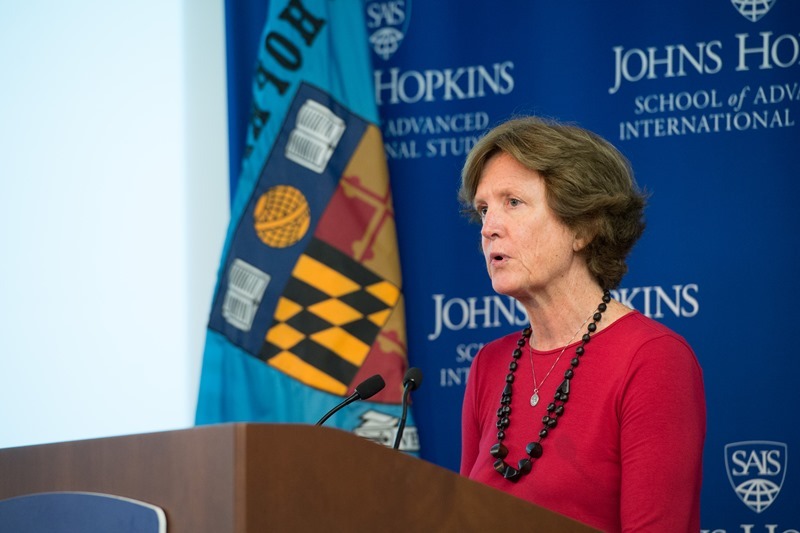 Deborah Brautigam, Bernard L. Schwartz Professor in International Political Economy, Professor of International Development and Comparative Politics, Director of International Development Program and China-Africa Research Initiative, Johns Hopkins SAIS. Oral Williams, Deputy Division Chief, Africa Department, International Monetary Fund. Dr. Williams leads missions to Malawi and has previous experience as mission chief for Oman and Burundi. Scott Morris, Senior Fellow, Director of Rethinking US Development Policy, Center for Global Development. Daniel Runde, Director of the Project on Prosperity and Development, William A. Schreyer Chair in Global Analysis, Center for Strategic and International Studies. 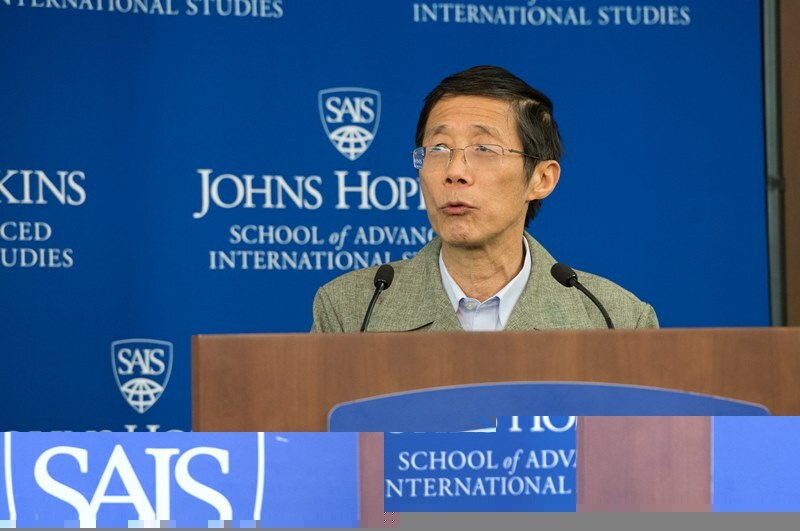 Jyhjong Hwang, Senior Research Assistant, China-Africa Research Initiative, Johns Hopkins SAIS. 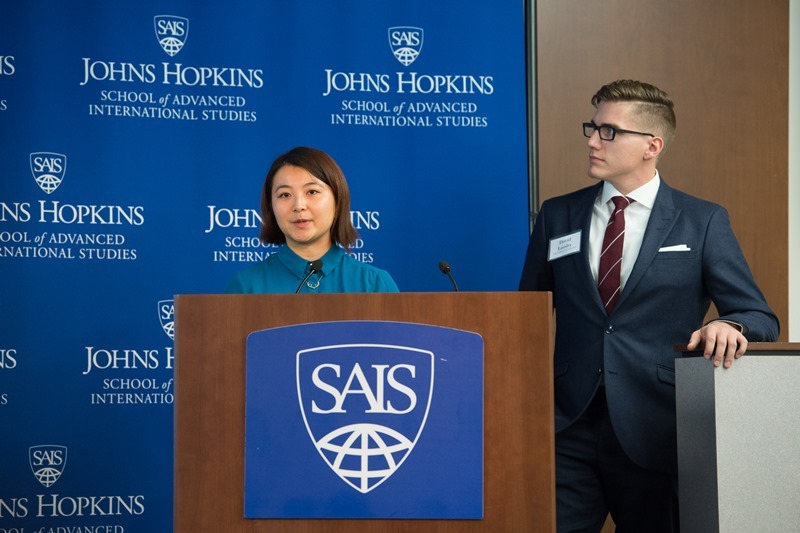 The China-Africa Research Initiative (CARI) at the Johns Hopkins University School of Advanced International Studies (SAIS) hosted a viewing of two films documenting the evolving relationship between African and Chinese communities. A historic gathering of over 50 African heads of state in Beijing reverberates in Zambia where the lives of three characters unfold. Mr Liu is one of thousands of Chinese entrepreneurs who have settled across the continent in search of new opportunities. He has just bought his fourth farm and business is booming. In northern Zambia, Mr Li, a project manager for a multinational Chinese company is upgrading Zambia's longest road. Pressure to complete the road on time intensifies when funds from the Zambian government start running out. Meanwhile Zambia's Trade Minister is on route to China to secure millions of dollars of investment. Through the intimate portrayal of these characters, the expanding footprint of a rising global power is laid bare - pointing to a radically different future, not just for Africa, but also for the world. The city of Guangzhou is home to China's largest community of African immigrants. This short documentary explores the city’s burgeoning African entertainment industry through the lives of three African hip-hop artists who are trying to find success in the face of China’s challenging labor and immigration laws. The film follows the entertainers as they prepare for their shows, perform, and live their daily lives with their Chinese and African family members and friends. Policy Roundtable: What is China Really Doing in Rural Africa? Monday kicked-off the first event of China-Africa Week at SAIS with the Policy Roundtable: What is China Really Doing in Rural Africa? The panel was made up of five policy experts regarding China’s involvement in African countries, specifically Tanzania, Mozambique, and Uganda. The forum was moderated by Professor Jessica Fanzo and Professor Deborah Brautigam. US – China relations where discussion was led by International Economist at USAID, Adrian Ng’asi. The Pea-Pea project in Tanzania, was discussed by Dr. Wu Jin, Dean of College of Humanities and Development Studies, China Agricultural University. Dr. Jin explained her project is the first Chinese community development project in Africa. Their focus is on how to introduce technology to local farmers based on the University’s expertise. The Pea-Pea project has now been chosen as a model for replication in 100 African villages. Agricultural engagement in Mozambique where Dr. Zhang Chuanhong, Associate Professor at China Agricultural University, discussed the purpose and scope of the Chinese Agro-Technology Demonstration Center (ATDC). She noted that the ATDC unfolds in three stages: construction, technology transfer, and sustainability. Dr. Chuanhong explained the purpose of such projects is to gain more involvement from African stakeholders. Chinese expertise in Uganda as researched by Mr. Josh Maiyo of Webster University. Mr. Maiyo discussed the nature of relationships between the Chinese and Ugandans in terms of knowledge transfer at the Ugandan ATDC. Mr. Maiyo explained the importance of involving local Ugandans to better develop their capacity in leading projects. China’s Agro-Technology Demonstration Center in Tanzania was the topic discussed by Dr. Hezron Makundi of Katholieke Universiteit. Mr. Makundi discussed the technical, political, and commercial aspects of these programs. He explained their importance to agricultural investments through the adoption of Chinese technology, the attraction of projects to senior officials, and the incentives of running the project, respectively. The forum was followed by two rounds of Q and A. 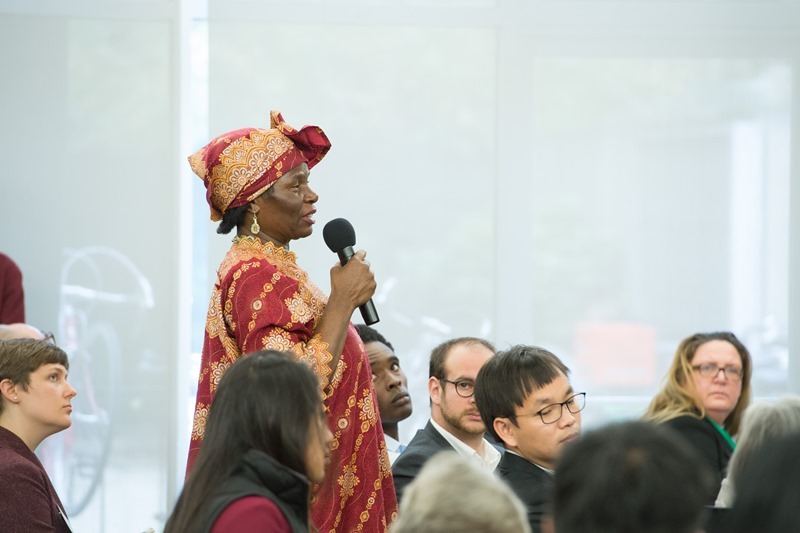 In the first round, the floor was open to the audience where questions ranged from exploring the details regarding specific Chinese investments to the social dynamics between the Chinese in certain African countries. The second round was where the moderators took the opportunity to round the discussion with follow-up questions to the panel’s presentations. Professor Fanzo and Professor Brautigam asked the panel to further consider food security in regard to the nature of these Chinese projects, and the implications of water intensive crops like rice. 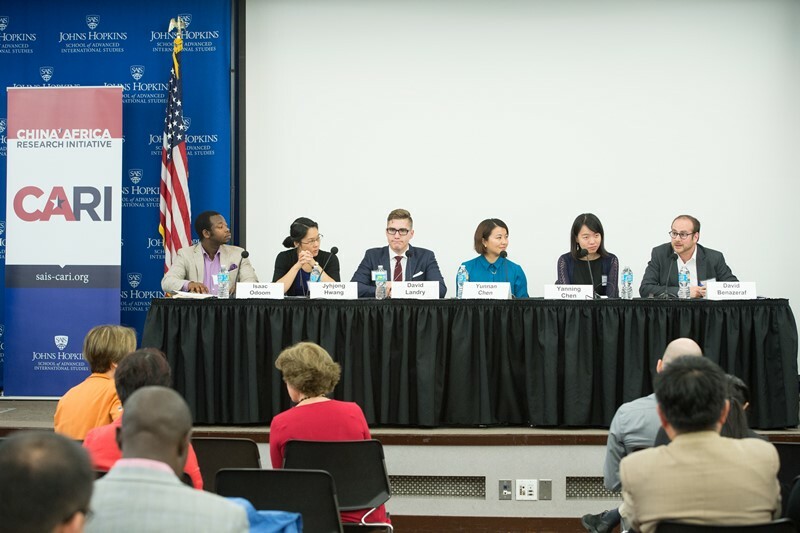 On November 19, 2015, in preparation for the 6th Forum on China Africa Cooperation (FOCAC) in Johannesburg, South Africa, December 4–5, SAIS-CARI hosted a private roundtable at Johns Hopkins SAIS for African Ambassadors and senior staff in Washington, D.C.
As a briefing and discussion, the event focused on a range of topics including Chinese approaches to development finance, agricultural investment, and manufacturing investment in Africa. Deborah Brautigam, CARI Director, provided an overview of China’s economic engagement in Africa, and a look at the research that SAIS-CARI has been carrying out on Chinese loans, hydropower finance, agriculture, and manufacturing investment. In addition, Wenjie Chen, an economist at the IMF, presented on how the current slowdown in the momentum of China’s growth has implications for China-Africa engagement and growth. Finally, Janet Eom, SAIS-CARI Research Manager, introduced the commitments and results of past FOCACs as well as predictions for what can be expected from the Johannesburg FOCAC. Why is the China-Africa relationship of interest to the United States (and the West more generally)? How is China’s sense of non-interference in Africa changing, if at all, in recent years? What is the role of loan conditionality from foreign partners in the outcomes of China-Africa relations? How can all 54 African countries coordinate to develop their own vision for working with China that caters deeply to local needs? Participants discussed how different foreign actors fill different roles in Africa, whether in trade or finance, thereby providing diverse opportunities and a possibly reduced sense of competition between them. At the same time, others pointed out that the economic slowdown in China may be a blessing for Africa as it can cultivate healthy competition from other partners that can productively invest on the continent. The discussion stimulated thoughts on the need for continued comparative analysis of Chinese trade and investment in Africa to that of other Asian partners as well as American and European partners. Participants agreed that African countries, through regional coordination and other mechanisms, will benefit most from FOCAC commitments if they can create their own strategies for working with China based on their most pressing needs. Photo Gallery: Click to view full screen. 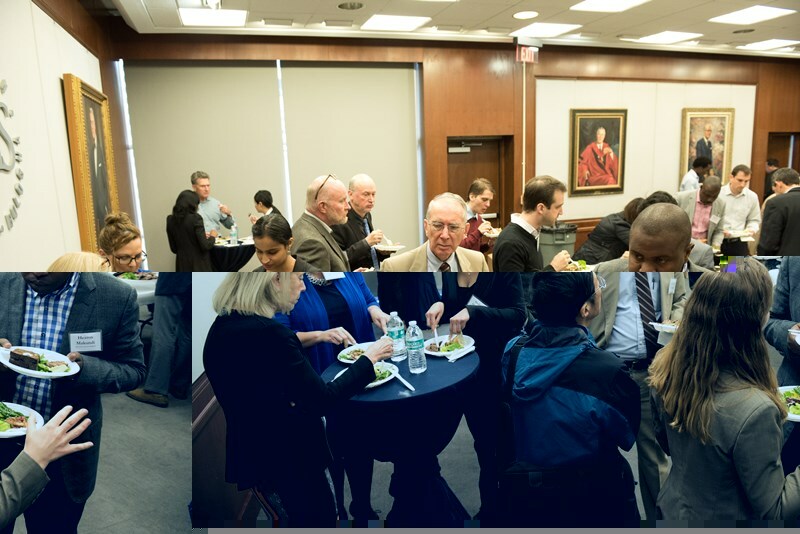 The event was supported by funding from Carnegie Corporation of New York. To celebrate the publication of CARI Director Deborah Brautigam’s new book Will Africa Feed China?, The SAIS China Africa Research Initiative hosted a roundtable discussion on Friday October 29th. Dr. Amadou Sy, Director of the Africa Growth Initiative at the Brookings Institution and Professor Ling Chen, Assistant Professor of International Political Economy joined Dr. Brautigam in discussing the new book. Professor David Lampton, Director of SAIS’ China Studies Program, moderated the discussion. After presenting her findings and taking questions from the audience, Professor Brautigam met with guests to sign copies of the book. For over a decade, Sudan fueled the international rise of China’s national oil companies. But the political turmoil surrounding the historic division of Africa’s largest country, with the birth of South Sudan, challenged China to chart a new course. The outbreak of conflict in South Sudan last December only deepened the instability and insecurity and sent Chinese diplomats scrambling to protect their interests and bring an end to the conflict. The lecture will discuss the overseas investments of Chinese national oil companies, their close ties with their respective governments in Beijing, and experiences with political and security risks in Sudan and South Sudan. It draws from Luke Patey’s recent book The New Kings of Crude: China, India, and the Global Struggle for Oil in Sudan and South Sudan. Beyond examining the economic and political impact of Chinese and Indian engagement in Sudan and South Sudan, the book argues that the two Sudans are examples of how Africa is shaping the rise of China and India as world powers. Luke Patey is a senior researcher at the Dan­ish Insti­tute for Inter­na­tional Stud­ies. His research focuses on the polit­i­cal econ­omy of oil in Sudan and South Sudan, the role of China and India in Africa, and the global invest­ments of Chi­nese and Indian national oil companies. He has written for the Finan­cial Times, The Guardian, The Hindu, and VICE News. He has been a vis­it­ing scholar at Peking Uni­ver­sity (Bei­jing), the Social Sci­ence Research Coun­cil (New York), and the Cen­tre d’études et de recherches inter­na­tionales (Paris). For more information you can follow Dr. Patey on twitter and like his book’s facebook page. On October 15, 2015, SAIS-CARI hosted DC based China-Africa experts to share their recent research and forthcoming projects. 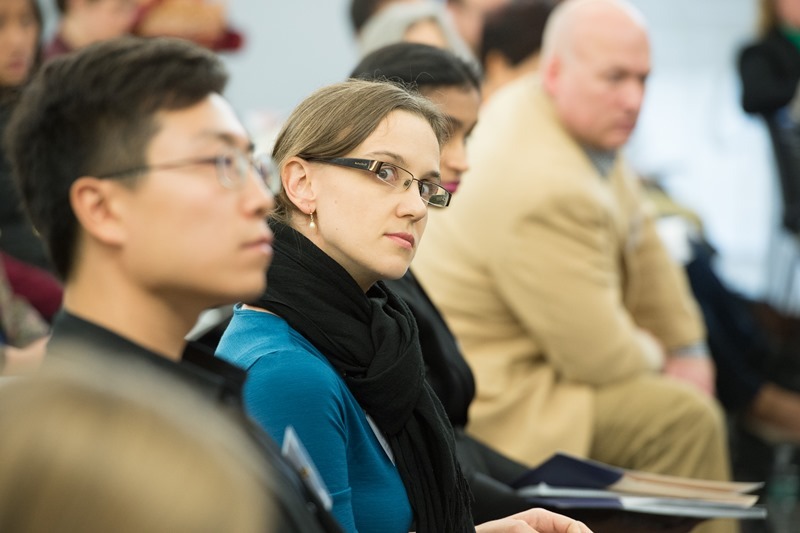 Participants focused on debates, hypotheses, and findings, focusing on overlaps between interests. They represented academic institutions as well as the World Bank, IMF, the Brookings Institution, and former diplomatic missions with policy-relevant experience. The discussion focused on various ways to find and interpret quality data on Chinese investment in Africa, spanning agriculture and manufacturing among other sectors. Participants drew from their own field research and policy experiences to illuminate a variety of different trends in China-Africa relations over time. Researching China’s Overseas Finance and Aid: What, Why, How, Where and How Much? China’s Growing Aid Program in the Pacific: Cooperation or Competition with Australia? China’s Agricultural Investment in Africa: “Land Grabs” or “Friendship Farms”?